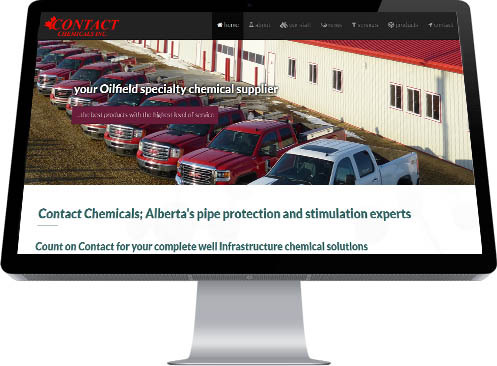 Contact Chemicals in Wetaskiwin County is a highly successful science-based business that creates specialized compounds for use in oilwells for improved protection, performance and maintenance. They wanted a website that was reflective of their business model and scientific thrust of their company. Additionally, they desired to put a human face on a niche-market company that deals with complex chemical solutions for energy infrastructure issues.